Buyer representation is a commonly misunderstood concept that is an essential part of any serious property search. For a general overview, see our previous article on the most frequently asked questions we receive from new buyers. 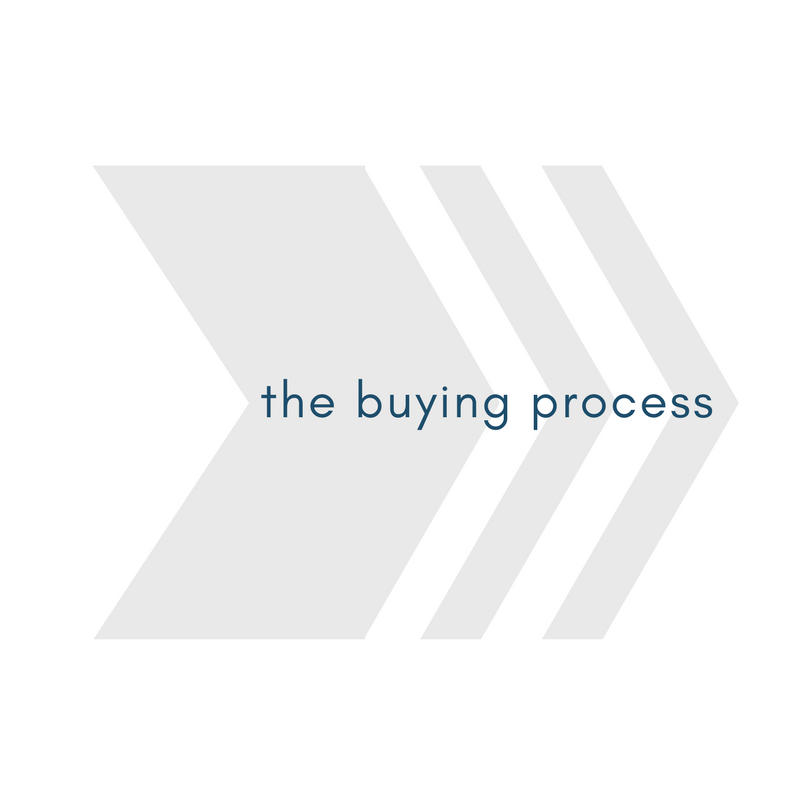 This article offers a more detailed step-by-step guide that illustrates the entire buying process (and how your Blue Panda agent fits within it). The core principle that drives the concept of buyer representation is based on the difference between a customer versus a client. When working with customers, realtors have a bare minimum “functionary” responsibility to provide accurate information regarding the material facts of a given property. Alternatively, buyer agents’ have an all encompassing “fiduciary” legal responsibility to protect and advance their clients’ best interests. They owe an absolute commitment to loyalty and confidentiality while providing the highest level of professional services and expert counsel. Your agent will arrange a meeting to discuss your wants, needs, and expectations. Your agent may then request you to sign a buyer representation agreement, which can be cancelled at any time. Your agent will recommend that you be in touch with an accredited mortgage broker to discuss your financing options and pre-approval status. The mortgage pre-approval will provide a clear view of the maximum mortgage amount you qualify for. A full analysis of the market will be conducted by your agent. You will be provided with insight on current market trends and a complete list of properties that fit within your search criteria. Your agent will also request to set you up on an MLS ‘auto-search’ – a tool that ensures you are notified as soon as certain types of new listings become available. Your agent will provide tours of various properties that fit within your search criteria. Multiple showings may be arranged in one day or spread out across several weeks. Depending on your interests and the current inventory, previous steps may need to be repeated. If you are attracted to a particular property, it is common to conduct a second showing. After weighing various pros and cons, you will be able to make an informed decision and select your favourite property. If you decide to submit an offer on a certain property, your agent will advise you on the best course of action. Once the details have been established, your agent will prepare the paperwork and contact the seller’s agent to communicate the offer. Depending on the strength of offer, the seller may decide to counter based on price, closing date, and/or other conditions. This process of negotiation may continue until either the two parties acknowledge that an agreement cannot be established or an offer is accepted. Once an offer is accepted, your buyer agent must deliver the deposit cheque to the seller’s agent in a timely manner. Your agent will ensure the conditional period progresses smoothly by communicating with these key experts and ensuring they are prepared to complete the necessary work in the time needed..
Common conditions include: Property inspection, financing arrangements with the lender, and a lawyer’s review of the agreement and/or the status certificate (for condominiums only). Once you have established in writing that these conditions have been satisfied, the deal becomes firm. Once the deal is firm, your lawyer will be in contact with the seller’s lawyer to fulfill the standard clauses already included in the contract. For example, your lawyer will conduct a title search to ensure that there are no undisclosed encumbrances attached to your new property. On closing day, you will arrange with your lawyer to pick up the keys to your new property. Marking the final step in the transaction process, the following indicates costs associated with a typical real estate purchase alongside the disbursements incurred by your lawyer. If you are a first-time homebuyer, you are likely eligible for a refund of all or part of the land transfer tax. All costs are approximate and subject to change. Blue Panda recognizes the importance of building a relationship of synergy between the client, agent and industry expert. It is essential to have capable and dependable experts working alongside you during every aspect of the buying process. Please be in contact with your agent for referrals to our trusted network of lawyers, mortgage brokers, home inspectors, surveyors, designers, and moving companies.